This 21-year-old guy with blue eyes and naturally blonde hair is doing wonders. Yes, if “5 Seconds of Summer” freak you out, then you should be happy because you have come to the right place. Here we are talking about one of the pop band members, Luke Robert Hemmings, popularly known as Luke Hemmings. A Cancerian, Luke is a leading guitarist and vocalist of “5 Seconds of Summer”. Alumni of Norwest Christian College, Luke’s abode lie in Sydney, Australia. “How I Met Your Mother” stands out to be Handsome’s favorite small screen series. Have a look at his piercings. 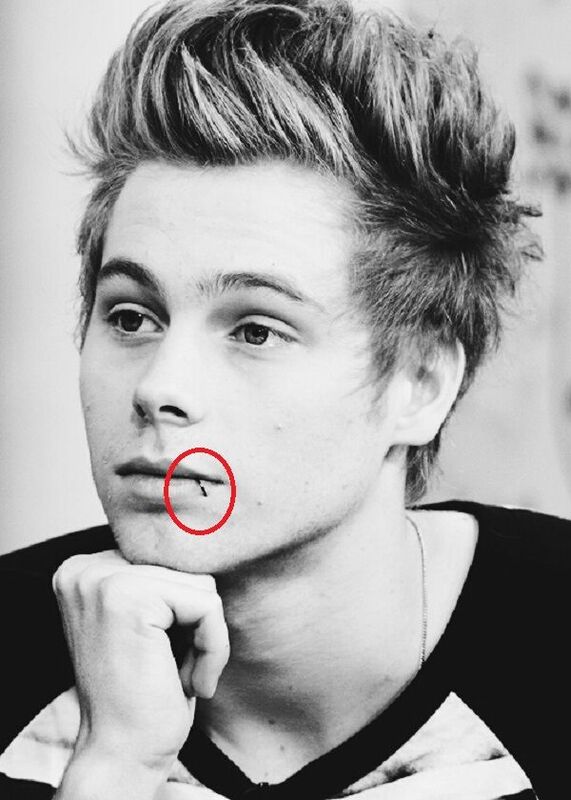 Back in 2013, Hemmings got his lip pierced. Commonly he’s seen in a black coil hanging in the corner of his mouth. Hemmings is seen with a stud intact on his one of the ear pierced. Mostly, he wears all in one black twirl over it.